OFT gives controversial Project Canvas clearance | What Hi-Fi? The OFT says it does not have the jurisdiction to investigate the plan, which has been attacked by BSkyB, Virgin Media and TV manufacturers, as we reported previously. 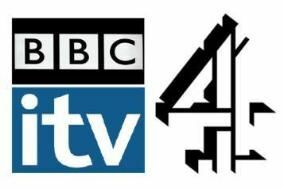 The joint venture between the BBC, ITV, Channel 4, Five, BT, TalkTalk and Arqiva now only requires the blessing of the BBC Trust, which has already granted Project Canvas provisional approval. Sheldon Mills, the OFT's director of mergers, says: "Our investigation has confirmed that the joint venture partners, including the BBC, do not intend to transfer an existing business into the venture. "Therefore, regardless of the potential significance of the Project Canvas venture for the future of internet connected televison, the notified proposals do not give rise to a merger qualifying for substantive investigation by the OFT." Humax, which is an official supporter of Project Canvas, welcomed the OFT ruling. Graham North, Humax's commercial director, says: "The announcement from the OFT regarding Project Canvas is great news for the digital television industry. "Humax believes that this service will enable further growth in the digital TV market, giving the UK population a greater range of content, more choice over how they watch it and more control over their viewing."